The easiest way to describe this would be modern pop music. That’s fairly accurate, but there is a bit of a stretch beyond that. 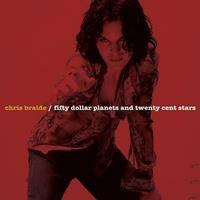 At times, Chris Braide seems to be doing his best job of channeling Marc Bolan with some serious glam. Other parts land near modern progressive rock. All of this is entertaining, though. The vocal performance really steals the show. Still, it’s got some classy tunes overall. Progressive rock, glam and more merge on this rocker. It’s part Marc Bolan and part modern prog. Energized pop rock, this is classy stuff. The guitar solo is meaty and quite tasteful. I love the acoustic driven section later in the piece, too. Mellower, this has a lot more of an electronic vibe to it. It’s got some great melodies and a real smooth groove. There is a definite soulful sound to the vocals. Coming in with a pure electronic sound, this works out to a rocker that’s much more like modern progressive rock. It’s still got some great hooks and definitely rocks out, though. Modern pop music merges with electronica and post-prog. This is a catchy and rather mellow, melodic rocker. An energized pop rock tune, this has some great hooks. The jam mid-track makes me think of a lot of 1970s music. It gets a bit proggy. Some modern electronic based pop serves as the backdrop here. Still, it has a bit of that glam sound in place, too. I can make out some Oasis on this, too. 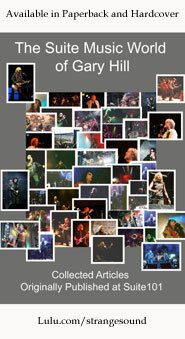 Of course, T-Rex and Bolan were often a reference point in that band’s influences. Modern pop music with an older sensibility drives this number. It’s a fun one, even though it’s a little mellower than some of the rest. This song that’s more or less mellow is very much like a lot of modern progressive rock. There is some great jamming and there are some intriguing changes. The vocals really sell it, though. The arrangement is lush, though, and often soaring. With a lot of energy and oomph built into it, this is like a modern version of glam rock. Oasis is a valid comparison in a lot of ways. Modern electronic pop is blended with a real soulful groove on this classy tune. It’s a solid one and a good way to end the set. This does work out towards progressive rock later in the piece.